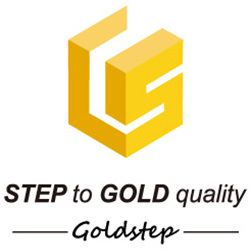 Established in 2010,Donguan Goldstep Electronics Co.,LTD is the professional factory which is committed to R&D,manufacture and sale of various earphones,bluetooth headsets and 3C accessories. Our production base on covers an area of 3000 square meters with more than 300 employees and 5 assembly lines,we have successfully passed ISO9001 and most of our products have FCC,CE&Rohs Certifications.In the meantime,we have been constantly introducing new technologies,production equipment and teating machine to meet your needs and expectations. We will always adhere to our principle "customers always come first"and keep on making imprvement so as to do our service better by supplying higher quality,more favorable prices,and timely delivery of headphones. Our resourceful,creative and deticated R&D team enable us to provide you with innovative and better products while making people fully enjoy the music of high technology.